John McGrath says buy property in SE QLD or Brisbane. Ok, he was at a real estate conference on the Gold Coast but otherwise I trust and respect the man. You can buy a unit or house on the Gold Coast waterfront canal style for $700,000 which is the same as a one bedroom unit in Sydney. The Golden Triangle is out west to Toowoomba, north to the Sunshine Coast and south to the Gold Coast. Realestate.com.au’s Invest tab is a quick way to grab a comparison. 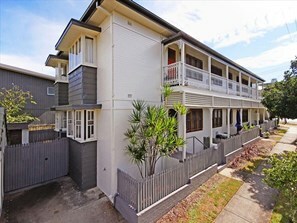 A 2 bed unit in Brisbane city goes for about $536,000 and it rents out for about $620pw. That 6% rental yield is strong. It also has experienced some annual growth albeit a modest 2.2%. 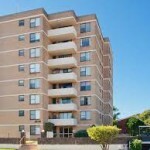 The same 2 bed unit in Sydney will set you back a whopping $955k (out of reach for me for sure!). You’ll also still get about $865pw so that’s a good rental yield of 4.7%. Annual growth is better at 8.7% over the same period. But will that growth continue? It’s kind of a moot point for me. My investment budget is probably in the sub $350k range in terms of what I could borrow. So for me its all about the punt on where growth will occur and achieving a positive rental yield in the meantime. Do you own your money or does your money own you? Get back in the drivers seat of your finances. Knowledge is power but also the best way to overcome fear. So whatever you are fearful of this week, upcoming bills, one income and a baby, retiring, ever being able to buy your first home or your first investment. Get informed and get a plan. 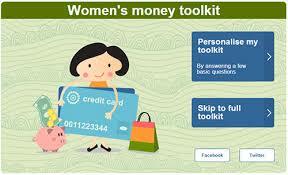 Check out the Women’s Money Toolkit by the really very clever and helpful people at ASIC. Who’d have thought they cared? You answer some questions and get a tailored tool kit for where you are at. Can I speak to your Husband? 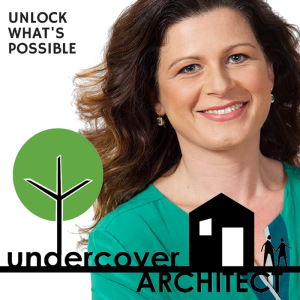 Amelia Lee, the Undercover Architect, wrote a great piece in Women’s Agenda this past week. Has a tradesman ever asked to speak with your husband? “Get informed. Understand. If you don’t understand, ask questions. Be the one who gets listened to. Be the one who knows what’s going on. Don’t worry what they think. Don’t worry about getting it wrong or not knowing the terminology. Heritage homes in Perth in demand – despite the maintenance costs! With some areas of Perth experiencing a dip in demand, its interesting to note that demand for heritage homes, despite their upfront and ongoing maintenance challenges, remains strong. A building inspection before purchase is a must, especially if a lack of maintenance or renovation is present. However a heritage listing itself doesn’t deter buyers who are more often than not emotionally attracted. This is when a premium can be achieved. Heritage homes are also the target of restoration buffs and renovators on the hunt for a bargain they can transform. But be prepared for a higher ongoing burden of maintenance. You are more likely to have to refurbish key structures like roof coverings, plumbing, electricals and more. Getting your property investment house in order. Well its now less than a month to the end of financial year. We are as busy as ever but what I will take time out to do is make sure my records are up to date on the Renovation we just finished. I’ll be tallying up every expense (not much income yet!) so that we can claim it against our personal income tax. If you do just this much you ‘ll be ahead going into the end of the financial year.